This gooseneck mounting plate for the GTO F310 is a one of its kinda mounting plate. It enables the F3100 to be mounted to a gooseneck stand. This Mounting plate if to mount the F310 to the standard gooseneck stand. 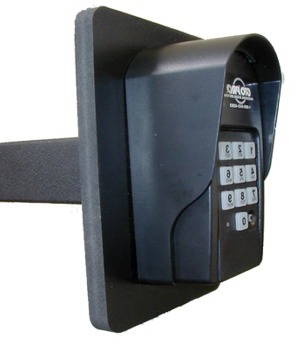 This is a hard plastic mounting plate for the GTO, Inc. keypads. If you are installing a gate opener and you want to use a goosneck stand then this mounting plate is your new best friend.